The Alvin Museum Society is proud to announce their new, temporary exhibit, "Celebrating 50 Years of History with NASA and the Alvin Community." Alvin has had a close relationship with NASA during this time. Essentially every NASA technical and administrative discipline, both civil service and support contractor, was and is represented by residents of the Alvin community. As part of the recognition of the past 50 years, there are plans for a 3 month NASA display opening on September 11, 2012. The display will run through the end of November and will feature space memorabilia from numerous sources, plus a number of space items on loan from the Johnson Space center's exhibits area. 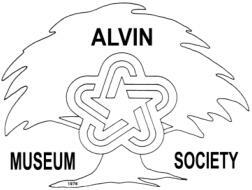 For more information click on Alvin Historical Musuem or email: alvinmuseum@yahoo.com.